The Archbishop of Strasbourg Luc Ravel, nominated by Pope Francis in February, just declared that "Muslim believers know very well that their fertility is such today, that they call it... the Great Replacement. They tell you in a very calm, very positive way: One day all this, all this will be ours..."
Hungarian Prime Minister Viktor Orbán just warned against a "Muslimized Europe". According to him, "the question of the upcoming decades is whether Europe will continue to belong to Europeans". "In the coming 30 years, the number of Africans will grow by more than one billion people. That is twice the population of the entire European Union... The demographic pressure will be enormous. Last year, more than 180,000 people crossed in shabby boats from Libya. And this is just the beginning. According to EU Commissioner Avramopoulos, at this very moment, 3 million migrants are waiting to enter Europe". — Geert Wilders, MP, The Netherlands, and leader of the Party for Freedom and Democracy (PVV). At the same time, far from Spain, elementary schools have been closing, shuttered by the state after the number of children dropped to less than 10% of the population. The government is converting these structures into hospices, providing care for the elderly in a country where 40% of the people are 65 or older. That is not a science-fiction novel. That is Japan, the world's oldest and most sterile nation, where there is a popular expression: "ghost civilization". According to Japan's National Institute of Population and Social Security Research, by 2040 most of the country's smaller cities will see a dramatic drop of one-third to one-half of their population. Due to a dramatic demographic decrease, many Japanese councils can no longer operate and have been closed. Restaurants have decreased from 850,000 in 1990 to 350,000 today, pointing to a "drying up of vitality". Predictions also suggest that in 15 years, Japan will have 20 million empty houses. Is that also the future of Europe? Among the experts in demography, there is a tendency to call Europe "the new Japan". Japan, however, is dealing with this demographic catastrophe with its own resources, and banning Muslim immigration to the country. "Europe is committing demographic suicide, systematically depopulating itself in what British historian Niall Ferguson has called "the greatest sustained reduction in European population since the Black Death in the fourteenth century'", as George Weigel recently noted. Europe's Muslims appear to be dreaming of filling this vacuum. The Archbishop of Strasbourg, Luc Ravel, nominated by Pope Francis in February, recently declared that "Muslim believers know very well that their fertility is such today, that they call it ... the Great Replacement. They tell you in a very calm, very positive way: 'One day all this, all this will be ours' ...". A new report by the Italian think tank Centro Machiavelli just revealed that if current trends continue, by 2065 first- and second-generation immigrants will exceed 22 million persons, or more than 40% of Italy's total population. In Germany, as well, 36% of children under the age of five are being born to immigrant parents. In 13 of the 28 EU member countries, more people died than were born last year; without migration, the populations of Germany and Italy are expected to decline by 18% and 16%, respectively. The impact of demographic free-fall is most visible in what was once called the "new Europe", the countries of the former Soviet bloc such as Poland, Hungary and Slovakia, to distinguish these from the so called "old Europe", France and Germany. Those Eastern countries are now the ones most exposed to the "depopulation bomb", the devastating collapse in birth rate that the current-events analyst and author Mark Steyn has called "the biggest issue of our time". The New York Times asked why, "despite shrinking population, Eastern Europe resists accepting migrants". The shrinking demography is precisely the reason they fear being replaced by migrants. In addition, much of Eastern Europe has already experienced being occupied by Muslims for hundreds of years under the Ottoman Empire, and are all too well aware what would be in store for them were they to come there again. Aging countries fear the antipathetic values sure to appear if there were a replacement by the current young foreign population. "There are two distinct views in Europe today to consider [regarding the decline and aging of the population]", Hungary's Prime Minister Viktor Orbán recently said. "One of these is held by those who want to address Europe's demographic problems through immigration. And there is another view, held by Central Europe – and, within it, Hungary. Our view is that we must solve our demographic problems by relying on our own resources and mobilising our own reserves, and – let us acknowledge it – by renewing ourselves spiritually". 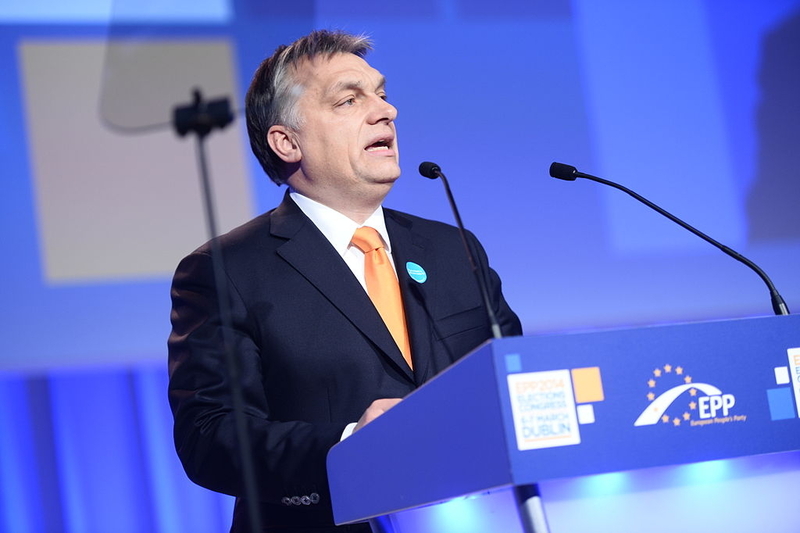 Orbán just warned against a "Muslimized Europe". According to him, "the question of the upcoming decades is whether Europe will continue to belong to Europeans". "In the coming 30 years, the number of Africans will grow by more than one billion people. That is twice the population of the entire European Union... The demographic pressure will be enormous. One-third of the Africans want to move abroad, and many want to come to Europe. Last year, over 180,000 people crossed in shabby boats from Libya. And this is just the beginning. According to EU Commissioner Avramopoulos, at his very moment, 3 million migrants are waiting to enter Europe". Eastern Europe is thinning out. Demography has even become a problem for Europe's security. There are fewer people to serve in Europe's military and social welfare posts. The President of Bulgaria, Georgi Parvanov, has, in fact, called on the country's leaders to attend a meeting of the national Consultative Committee entirely devoted to the problem of national security. Once Eastern European countries feared Soviet tanks; now, they fear empty cradles. The Financial Times had called this situation in Eastern Europe "the largest loss of population in modern history". Its population is shrinking as has no other before. Not even the Second World War, with its massacres, deportations and population movements, had come to that abyss. Orbán's way -- dealing with a demographic decline using the country's own resources -- is the only way for Europe to avoid Archbishop's Ravel's prediction of a "great replacement". Mass immigration will most likely fill those empty cradles -- but Europe will then become also just a becomes a "ghost civilization"; it is just a different kind of suicide. Romania will lose 22% of its population by 2050, followed by Moldova (20%), Latvia (19%), Lithuania (17%), Croatia (16%) and Hungary (16%). Romania, Bulgaria and Ukraine are the countries where the population decline will be most severe. Poland's population is estimated to decrease by 2050 to 32 million from the current 38 million. Nearly 200 schools have closed, but there are enough children to fill the remaining ones. In Central Europe, the proportion of "over 65s" increased by more than one-third between 1990 and 2010. The Hungarian population is at its lowest point in half a century. The number of people fell from 10,709,000 in 1980 to the current 9,986,000 million. In 2050, there will be fewer than 8 million people in Hungary; and one in three will be over the age of 65. Hungary today has a fertility rate of 1.5 children per woman. If you exclude the Roma population, this figure drops to 0.8, the lowest in the world -- the reason Prime Minister Orbán announced new measures to solve the demographic crisis. Bulgaria will have the fastest population decline in the world between 2015 and 2050. Bulgaria is part of a group that is expected to decrease by more than 15% between 2015 to 2050, along with Bosnia-Herzegovina, Croatia, Hungary, Japan, Latvia, Lithuania, Moldova, Romania, Serbia and Ukraine. Bulgaria's population of about 7.15 million people is estimated to fall to 5.15 million in 30 years -- a decline of 27.9%.